﻿ The Glass Heritage Gallery - Ohio. Find It Here. 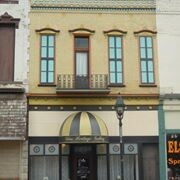 The Fostoria Ohio Glass Association operates the Fostoria Glass Heritage Gallery at 109 N. Main Street in Fostoria. There were 13 different glass companies in Fostoria, Ohio during the years of 1887-1920. During the boom years of 1887 through about 1892, there were around seven or eight plants operating in Fostoria. The earliest plants were brought to Fostoria because of the large amounts of natural gas that had been discovered in the area. Because of Fostoria's five major railroads and access to free gas, investors found the city an ideal location to build glass plants. The investors, and workers, from West Virginia and Pennsylvania along with people from other glass areas abroad came to settle in Fostoria and while here manufactured some of the most beautiful glass ever made in America. The Glass Heritage Gallery has chosen to specialize in ten of the companies that made glass in Fostoria. Some of the other plants' specialties are not represented as some were window glass manufacturers and some made ordinary bottles. Please call ahead if you are coming from a distance to make sure we will be open when you plan to visit.